Pardon me for lapsing into the Daily Mail’s selective-capitalizing headline-writing convention, but I think this instance demanded it. Are you horny yet? Our pop of the week is. Condition: A horn. That’s not a euphemism or figurative. It’s a horn. A hundred percent a horn. Nothing else to call it but what it is: a horn. “It’s a horn. It’s basically...you’d see a rhinoceros. It’s a hard horn,” said Lisa, leaving no doubt at all that there was absolutely a horn growing off the back of her head. Lest you still think I’m just playing fast and loose with lingo, the medical name for Lisa’s condition is a cutaneous horn. See that? Medicine agrees: She had a horn. 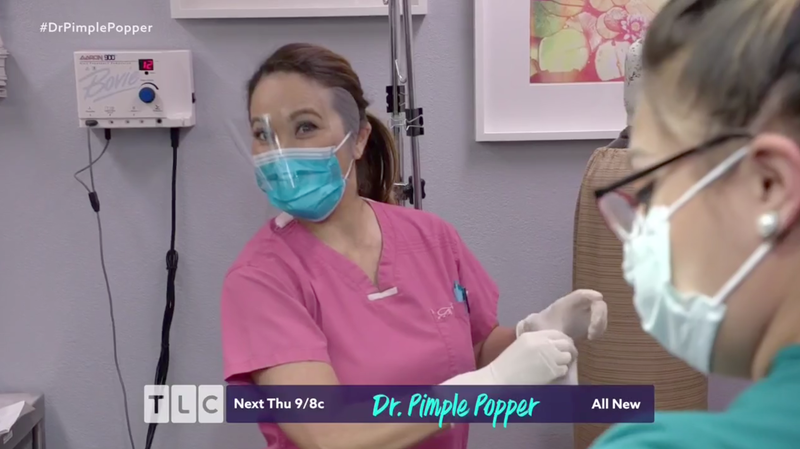 I mean, Dr. Pimple Popper banged it against a hard surface after removing it and it made the same blunt clacking sound that my seventh grade teacher’s giant onyx ring would when he’d bang it against his desk to get our attention. This horn was concerning for a few reasons: It meant Lisa always had to keep her hair up. It hurt when bumped, and also she worried that it could be cancerous as several of her family members died of cancer. How stomach-turning was the treatment? : You know, as this show goes, what was more unnerving was the existence of what needed to be treated rather than the treatment. Dr. Lee was able to just...pull the horn off? It was less dramatic than I expected but still disturbing in its ease. It was just, like, perched there? Of course, there was the ring around the horn to deal with as well as the pilar cyst detritus to pull out of the literal hole in Lisa’s head that the horn left. You know, the usual. The results: No more horn! And what really concerned Lisa, the possible cancer that the horn portended, turned out not to exist. So not only was she horn free, she was cancer free. A total triumph. How does she do it? How do any of us?